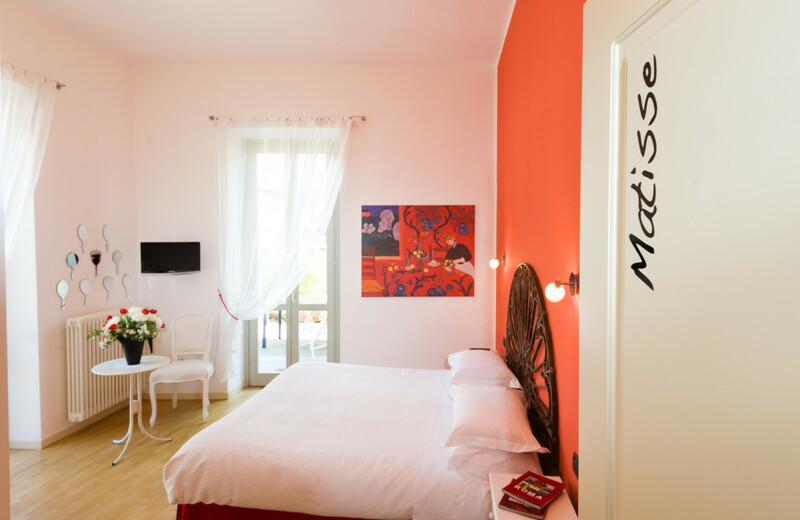 Henri Matisse is the protagonist of the third room with one of his most famous paintings: Le chambre rouge. 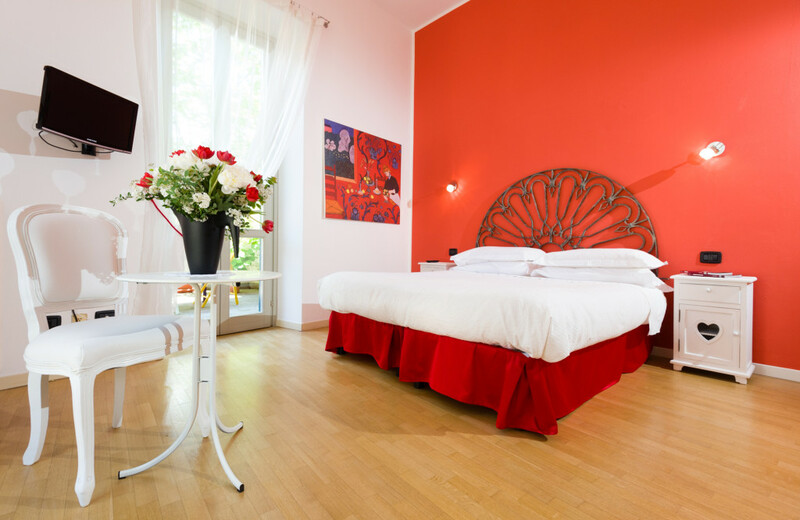 The comfortable room is characterized by a giant rosone of the beginning of Twentieth century. The wall, on which it is hanged, is painted in red as like the main colour of the French painter’s masterpiece. The shabby furniture enriches the space and conveys a gorgeous feeling, thanks also to the big french windows. 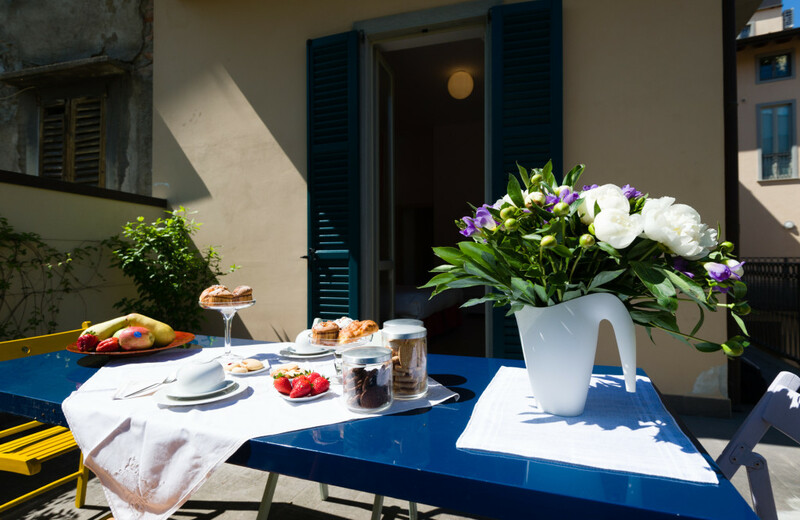 The room has got a big terrace merged into the green, where you can have breakfast. 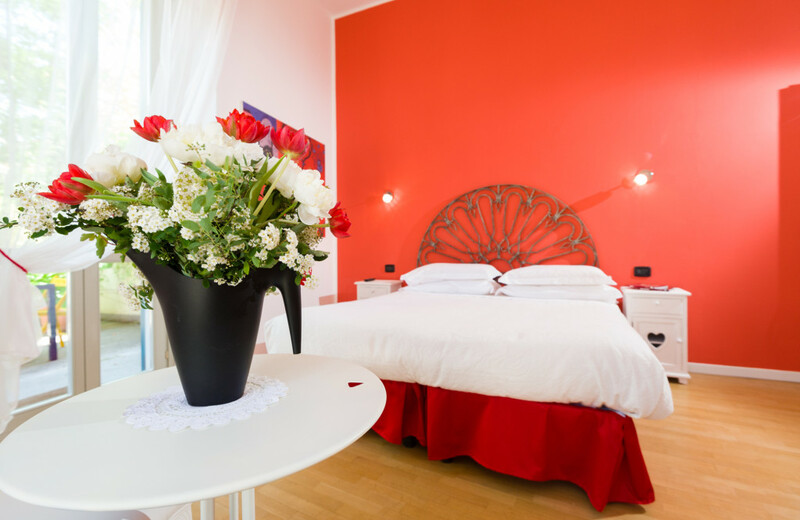 The rooms has plasma television, internet Wi-Fi connection, hairdryer, sheets, towels, courtesy line and daily cleaning.